Dr. Ali M. Ardekani is currently working as Associate Professor at National Institute of Genetic Engineering and Biotechnology Shahrake Pajoohesh, Tehran-Iran, and Director at Middle-Eastern Association for Cancer Research, Canada, and Health Biotechnology Convention Pasteur Institute of Iran. He obtained his Ph.D. in Endocrinology from Shahid Beheshti University, Iran. Dr. Ali M. Ardekani received honors includes Recipient of a 42,000.00 Grant from the International Center for Genetic Engineering and Biotechnology (ICGEB) from the country of Iran, Cancer Research Award, National Cancer Institute, USA, NIH Postdoctoral Training Grant, Northwestern University, IL, and AACR-AFLAC Scholar in Cancer Research Award. 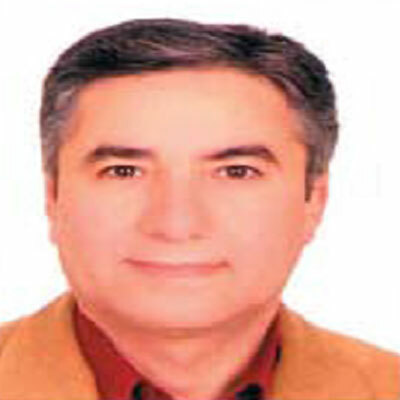 He is member of Iran National Cancer steering Committee and a founding member of the Iranian society for Health Genomics and Biotechnology, Eastern Association for Cancer Research (MEACR), National Cancer Research and Education Committee, Iran cancer Society, One of the Founders and member of the board of Directors in Health Biotechnology Society (Iran). He is Founder and first Editor-in-Chief of Avicenna Journal of Medical Biotechnology, and member of editorial board in journals. He has published 8 books, 1 book chapter, 1 news paper article, 3 abstracts, and 88 articles in journals contributed as author/co-author. He also worked on 6 research projects as Principal Investigator and Co-investigators. He successfully supervised 2 PhD degrees, and 17 Masters students.